A Great Place To Live And Work - College Hill Community Urban Redevelopment Corp.
College Hill is an active urban village (Visit collegehill-oh.com) with eclectic businesses and restaurants. CHCURC is leading exciting commercial real estate development projects for 2015 and beyond. You’ll be seeing lots of improvements along the Avenue next year. 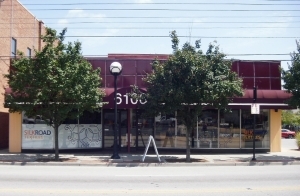 Our business district (Discover the Avenue map link) along Hamilton Avenue is surrounded by tree-lined neighborhoods, with comfortable, safe and affordable homes for young and old families. We’re supported by strong schools, churches, parks and recreational opportunities. Our diverse civic organizations are vibrant, with strong participation by residents and businesses. We enjoy great community events in College Hill every year. One of most appealing aspects of College Hill is its convenient proximity to downtown Cincinnati, and ease of transport to all Cincinnati communities via regular north-south and east-west bus routes. College Hill has great bus service downtown (NS) on #17, and across town (EW) on #41. Hamilton Avenue has been identified as a prime corridor for future bus rapid transit (BRT). Many residents already use the bus for daily commutes. A sheltered bus station at Hamilton and North Bend Road is in the plan! 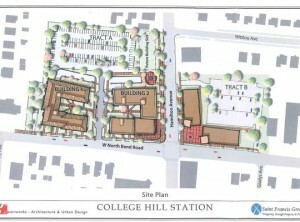 College Hill is a growing community with a very bright future. Come check us out!